I met Christina Douglas at the clothes swap I organised last year. Christina is a warm, creative and community oriented person who I instantly liked and we have kept in touch. 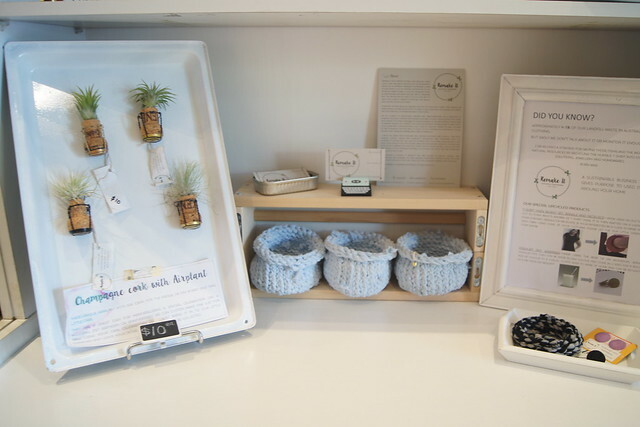 A couple of weeks ago I had the pleasure of visiting Christina’s new venture with her business partner, Our Little Caravan – the collective store. It is located 39 Westerfield Dve, Notting Hill, Melbourne. 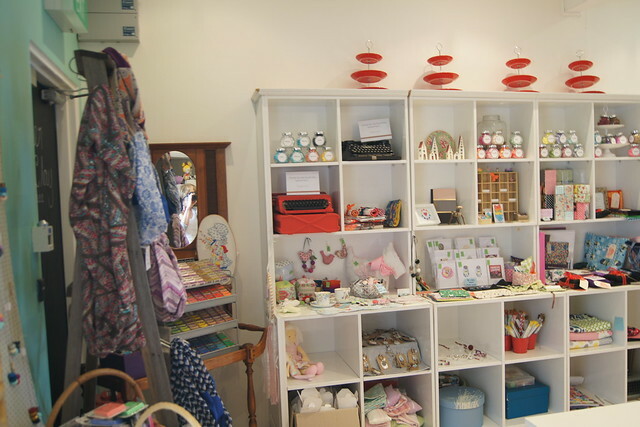 Our Little Caravan is a beautiful, boutique vintage handmade crafts store and a venue where you can join in casual craft classes, workshops or even have a party in the gorgeous vintage caravan in the backyard at the store. 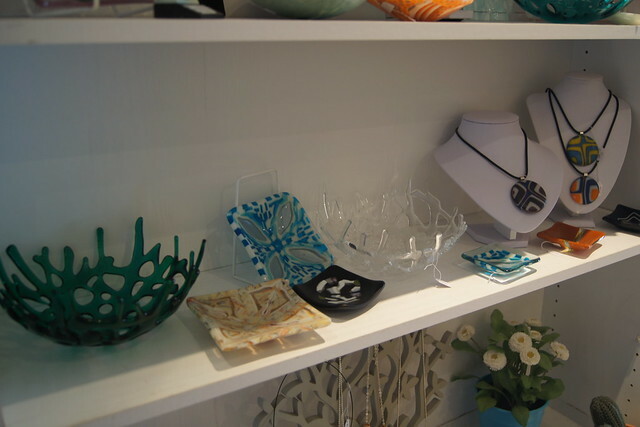 As soon as you enter the shop you feel a sense of creativity and community. Shelves are stocked with delightful handmade items and the space is open and bright with large tables which make a creative co-working studio and the space where the team at Our Little Caravan run their workshops and courses (see the end of this post for what is on in December and January). Our Little Caravan leases shelves to creatives on a minimum 3 monthly contract to start with. They have different plans you can apply for, from a flat fee per month to a smaller fee plus commission or straight out commission basis. 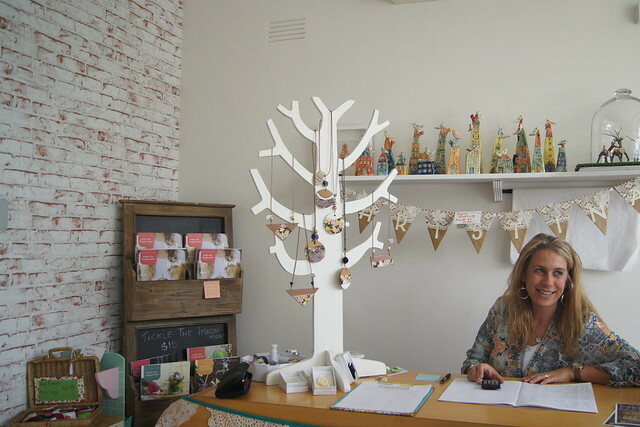 If you are interested in having your handmade wares stocked at the collective you can contact Christina here. I had deliberately kept my visit to the store when I knew I would have time to do some Christmas shopping and I was so glad I did. I bought presents for 10 family and friends. 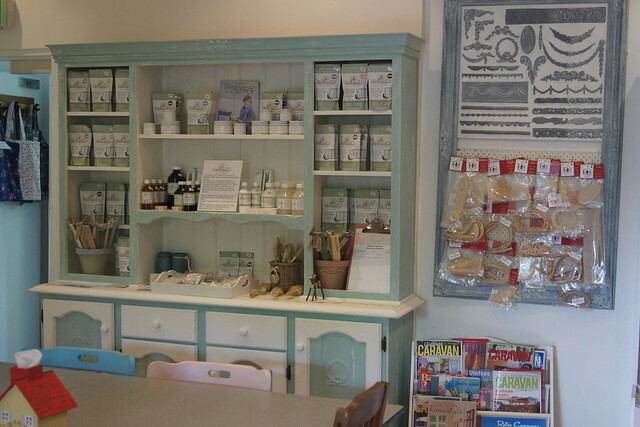 Here is some of the gorgeous homemade items they had in stock when I visited. 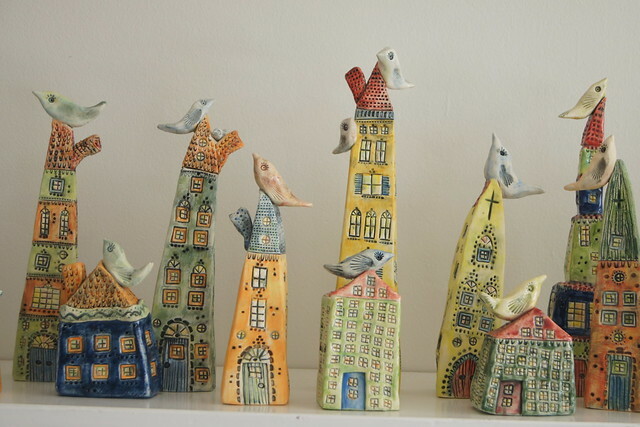 These ceramic statues were a favourite of mine! These items are made from Remake It. 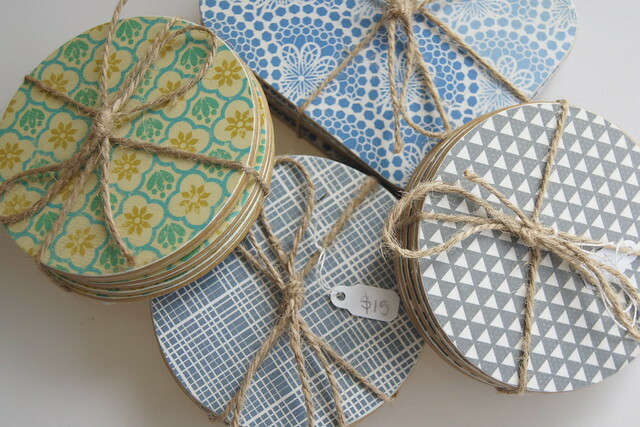 Erin only uses post-consumer and vintage materials and upcycles them into accessories and homewares. There is such a diverse range of items at the store, it is easy to find a well priced, unique and handcrafted gift for those you love. 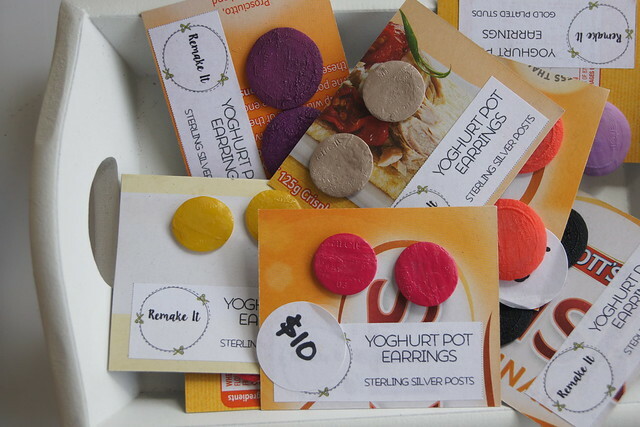 And if you are into polymer clay you can pick up some at the store too! 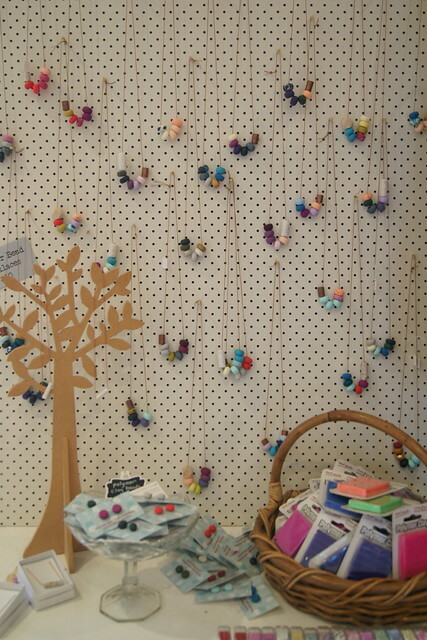 Or you can just buy jewellery that someone else has made if you aren’t quite into making your own yet. What’s on at Our Little Caravan? I asked Christina to let me know what is on for December and January and there is loads! Lots of opportunities for you to make things yourself to create handmade and heartfelt gifts. 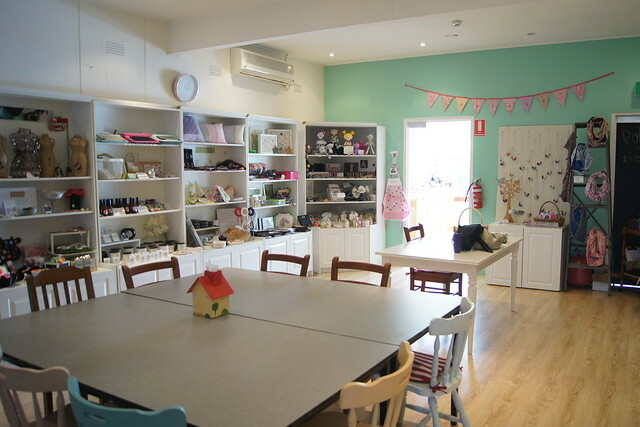 We will be opening our studio over December so you can pop in and make something special for your family and friends. This is a great opportunity to make your teacher a gift. You can choose from a glass tiled pendant for $10 or a personalised scrabble tile frame for $15. Allow 45 minutes to make these gifts. You can buy My Little Caravan gift vouchers to attend a class in 2016. This includes our holiday workshops. Our school holiday workshops will be back from the 19th January and run for one week only. 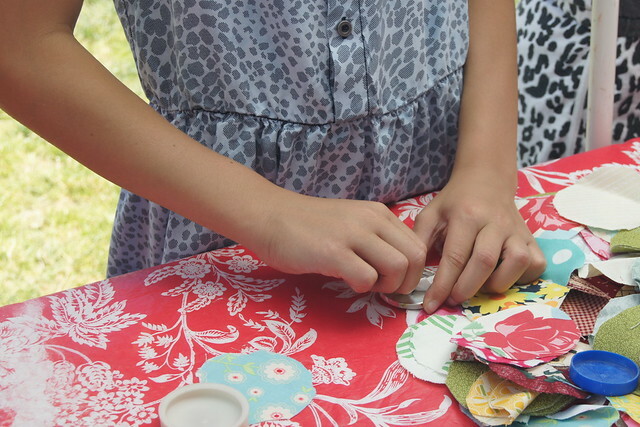 You can “drop in and craft” during the morning sessions (10-1pm) for $5 per child. 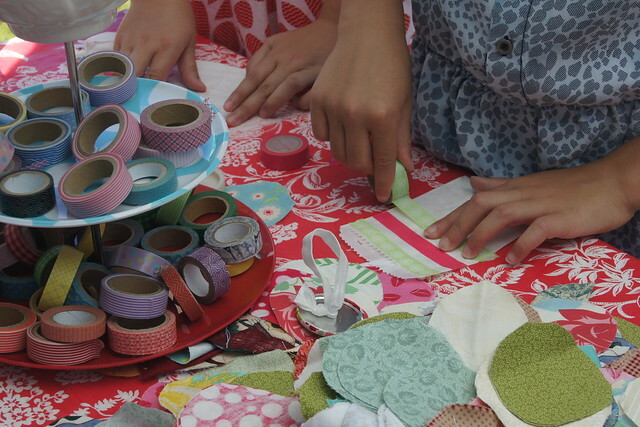 1-3pm are set aside for “Crafternoons”, our technique based workshops. These classes are $35 and include afternoon tea. In 2016, we are excited to be launching our very special and unique “My Little Garden” class. 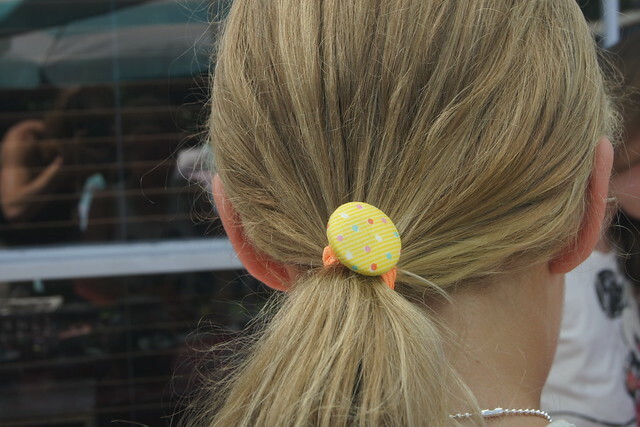 Learn about polymer clay and make a strand of beads. 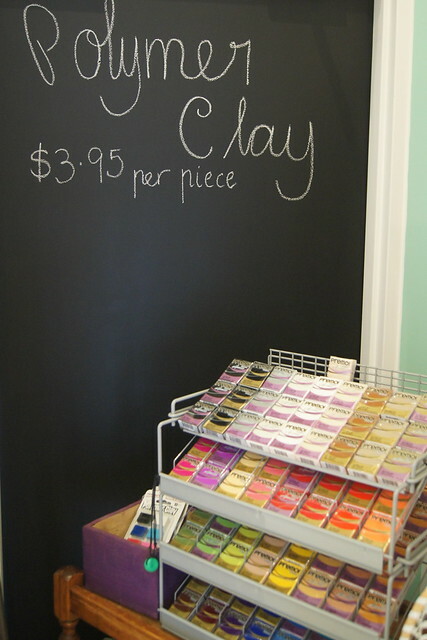 Learn how to condition your clay and mix colours. Choose from our selections of embellishments to put that special touch on your very own necklace. In this class you can create your own miniature garden, in a portable dish and build on it with pieces available from our store and made in classes. You will come up with a theme for your garden. Romantic and English, or peaceful and simple. Will parties be held there or is it a fairy-tale garden? A little pond with a bridge, or do dinosaurs roam the landscape? The possibilities are endless. Learn how to use polymer clay and creature your own creatures for your mini garden. By making a variety of accessories, you can allow your garden to change with the seasons. An autumn look, a Christmassy winter scene, or a tropical oasis. 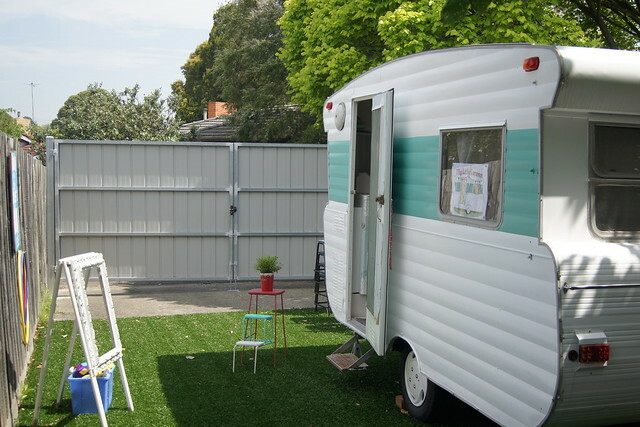 My Little Caravan was originally housed in Christina’s backyard, but it has now made its home at the back of the store and has recently been beautifully repainted by Christina. 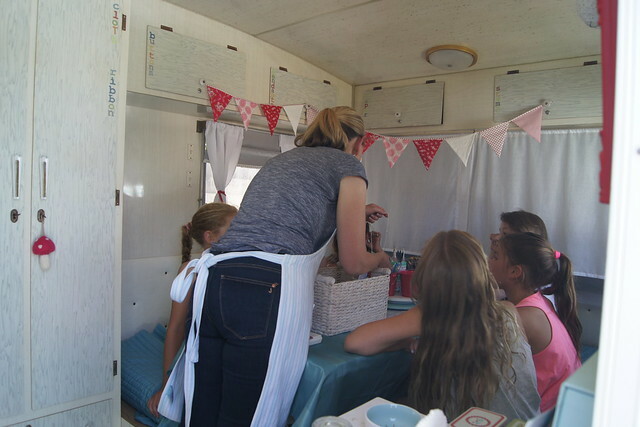 The caravan can host kids and adults parties. 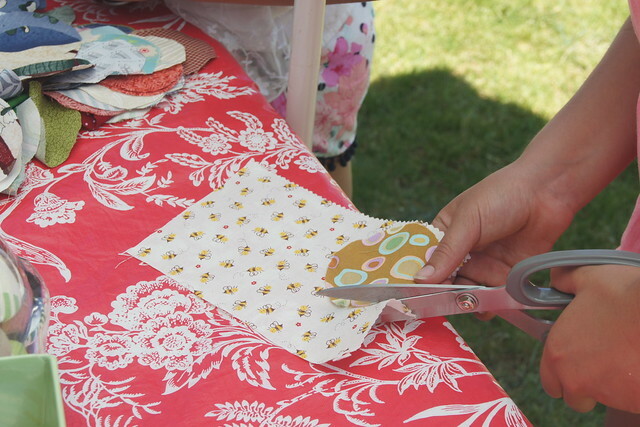 You can read more about kids’ parties here but each child gets to make their own glass tile pendant or bag tag, fabric covered buttons and experiment with washi tape. They play some old school games like hula hoops, hopscotch, elastics, quoits, jacks, skipping, and at the end their is time for photos in a dress up photo booth. These photos are from my daughter’s party last December. The girls had such a fabulous time and were thrilled to be able to take home so many beautiful items they had made themselves. The girls worked in two groups. One inside the caravan and one outside. 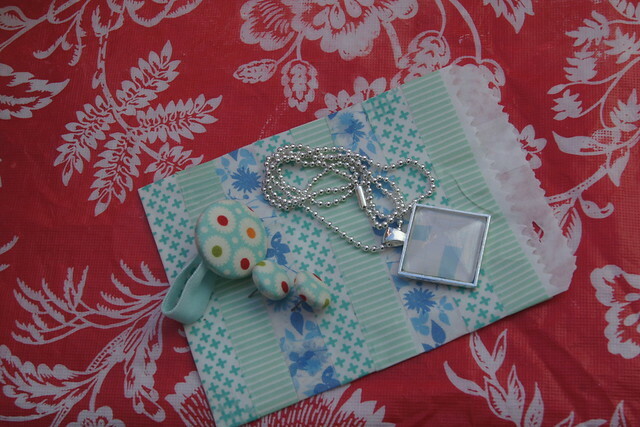 Inside they made the glass pendants, outside they made fabric covered buttons and washi tape creations. Then they swapped over so they had a turn of making each item. 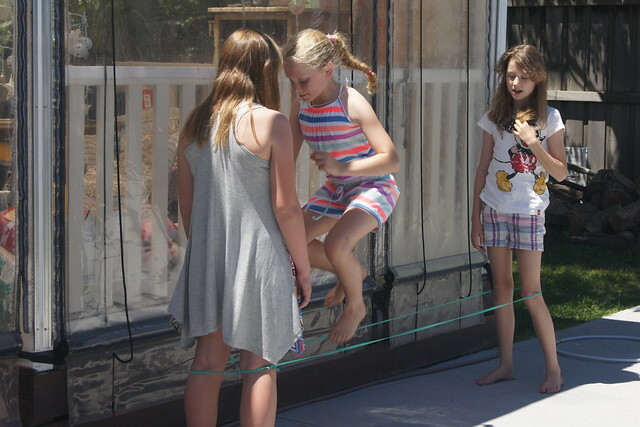 Who remembers elastics? I used to love this game! The washi tape activity was super simple, but the girls all loved it. We have bought quite a bit of washi tape since the party.